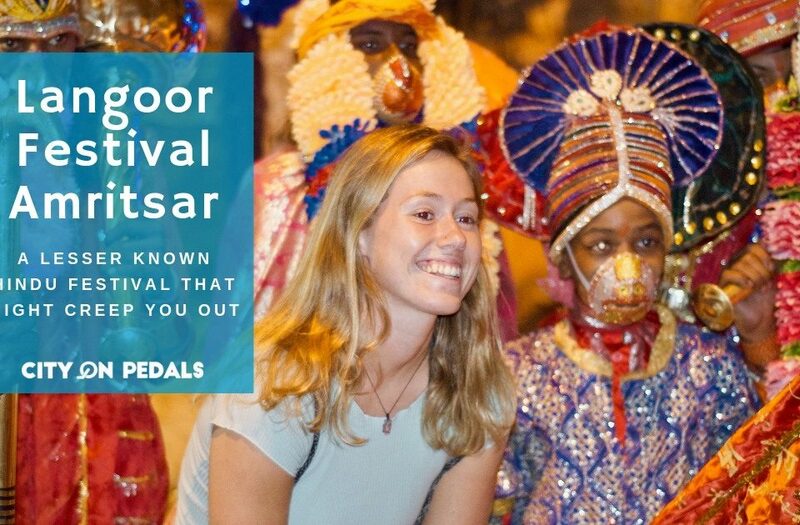 Traveling in India is a rewarding experience. Whether you are a fanatic individual planning to spend your next vacation in India or a traveler who wants to explore the beauty, culture, and heritage of India, travel planning is necessary. Nowadays, travel planning is a lot easier than before with a number of apps available. 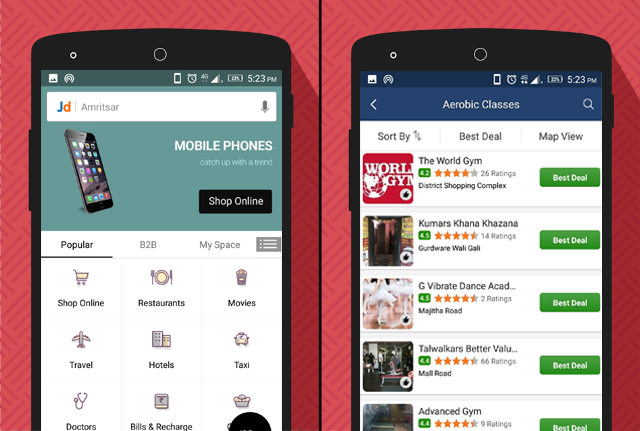 We have delved and catalogued 11 apps categorized into 7 parts that are most useful if you want a smooth traveling experience in India. 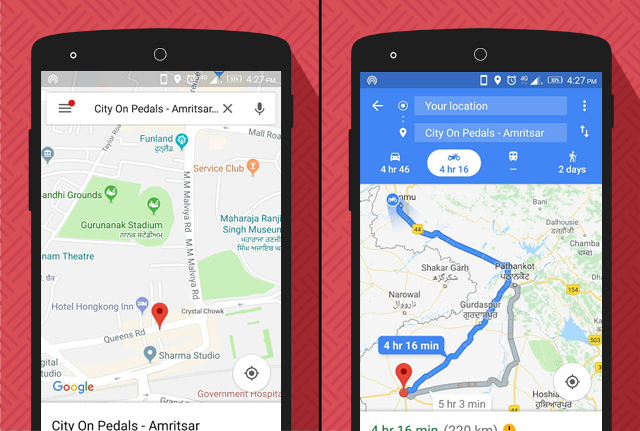 If you have a good internet connection in India, there is nothing compared to Google Maps. 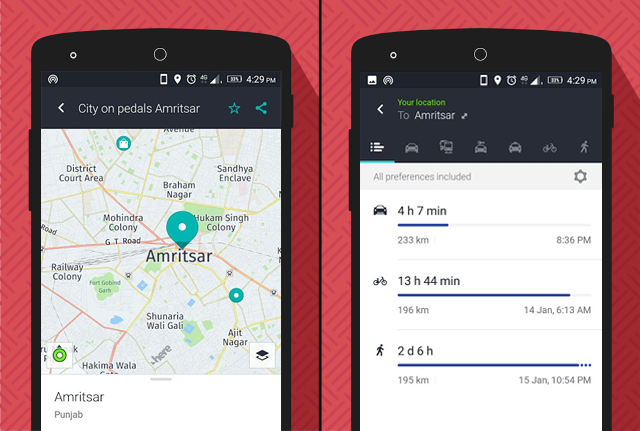 This app helps you with live traffic situations and best routes available for travel by train, bus, car or foot in the best possible way. If you are worried about internet in India, HERE WeGo is here for your rescue. This is an app which lets you navigate without an internet connection. Originally developed by Nokia, you have to download the map of India before coming to India because the size of the map is larger and will require a good high-speed internet connection. 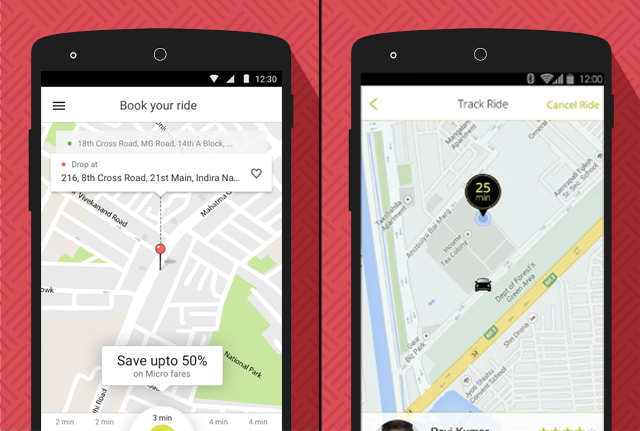 Ola is one of the best apps which lets you hail private cabs and bikes on the personal, corporate and shareable basis and on rent as well. 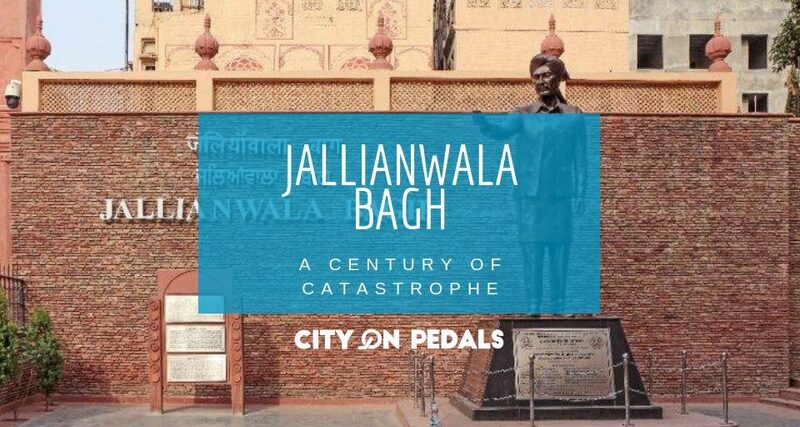 It is serviceable in a majority of cities in India. For intercity travel, you can not rely on cabs always as they are expensive and in remote areas always not accessible. 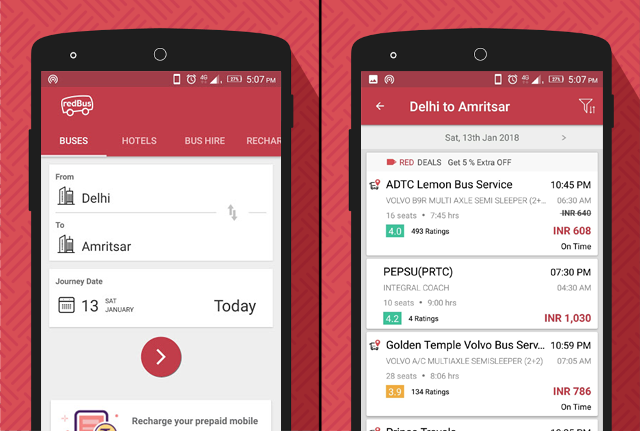 Redbus is the only app that services majority of the tourist-friendly destinations. India is integrally connected by trains and they provide a smooth traveling experience. 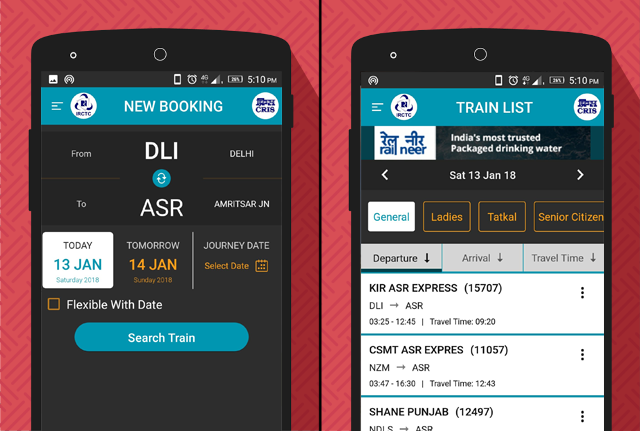 IRCTC Connect is an app developed by the government of India and lets you book a train, check schedules and now even has the facility to book an air ticket. 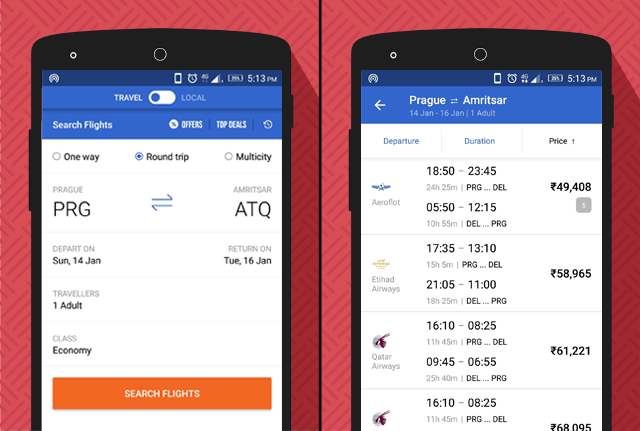 Cleartrip majorly started as an air ticket booking service but it now also offers travel planning and provides a ton of offers for foreign customers. Cleartrip is the best option if you want to book flights with real-time price comparison. 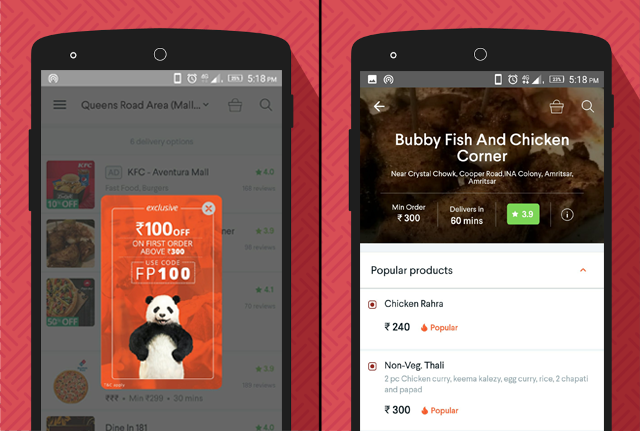 FoodPanda is India’s leading food delivery chain. 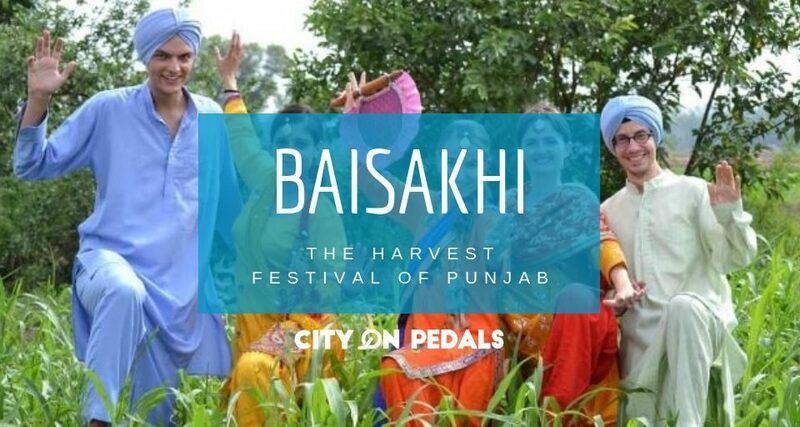 It has tie-ups with more than 15000 restaurants and services in almost every major city. It also provides the facility of express delivery in 45 minutes or 100% cashback. Also known as India local search engine, Justdial provides the widest and accurate information about businesses and services. Whether you need a plumber or a doctor, it would be listed on Justdial in 99% cases. Justdial now also lets you order products online, book air tickets, order food and much more. Oyo Rooms is a part of India’s biggest hospitality brand Oyo and lets you book budget as well as luxury hotels in 5 seconds. 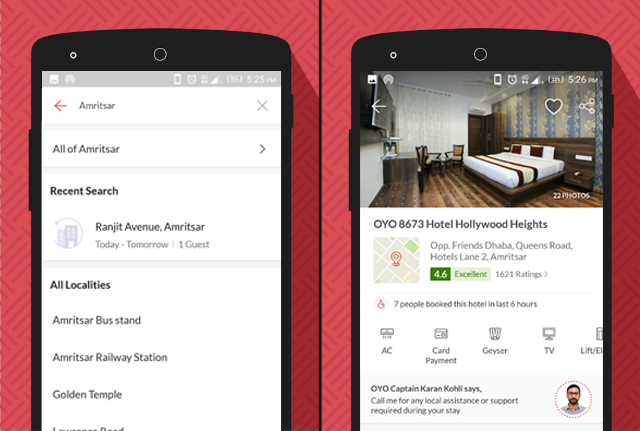 Oyo services almost every Indian city and even lets you order room service, food and even book cabs from the app. Oyo assures that the rooms booked have air conditioning, TV, clean linen, complimentary breakfast and hygienic washrooms. When you are in a new country, you want to know what’s going around you. 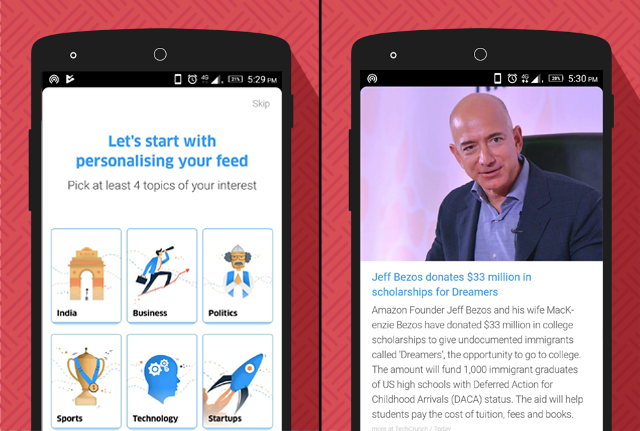 DailyHunt is a news app that combines over 200 newspapers and magazines to provide you with the most recent and trending news in 16 different languages. 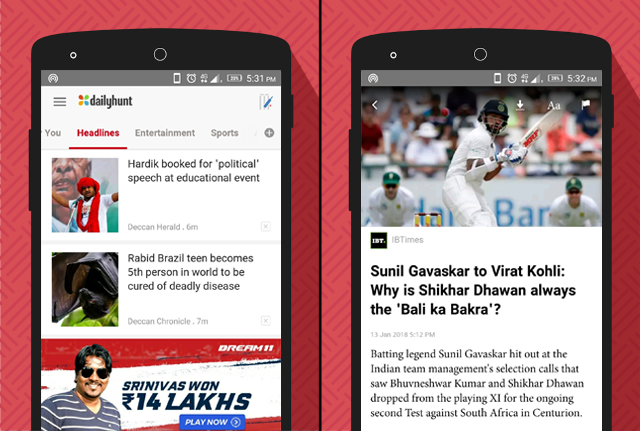 You can also surf the news on basis of categories such as national, international, sports etc. If you are running late and need to remain updated, Inshorts is the app for you. It selects latest and best news from national and international sources and summarises them to present in a short and crisp 60 words or less format, personalized for you, in both, English or Hindi. I compiled this list after thorough research and playing hosts to many travelers all along. It’s possible that I may have missed some of them.